In 2011, Rosoboronexport, Russia’s main arms exporting agency, fetched $13.2 billion from its arms and military equipment sales, which exceeded the initial goal by $1.6 billion. Russia is the world’s second biggest arms exporter. By 2012, experts predict its turnover to surge even higher, surpassing the $14 billion mark. The munitions market is one of those few spheres where Russia stands at par with Western powers. It is a considerable success, even though Russia slightly lags behind the US, whose sales revenues have reached $28-34 billion in 2011. It’s worth noting, however, that the majority of American exports are related to US military aid programs and arms sales within NATO, where the US dominates both R&D and manufacturing. Thus, US-produced arms never fall short of demand, especially among the NATO novice members. Over the past five years, Russian has been heavily concentrating on diversification of its weapons export market. Since then, it has witnessed a significant surge in demand and a drop in the shares of its largest contractors. Its reach keeps broadening with time. In 2011, Russia was selling munitions to 57 countries worldwide. But the year 2012 is expected to be pivotal, with major income flows coming from a few large contractors, mainly from India. In 2012, India will receive $7.7 billion worth of Russian arms, which amounts to over 60% of the Russian arms market and almost 80% of Indian imports. Although Russian arms exports may sag in 2013, following the conclusion of several major contracts with India, this decrease will most likely prove to be insignificant. In the upcoming years, Vietnam will increase its share in the Russian arms exports, purchasing six Project 636 submarines, Su-30 fighter jets and ordering additional “Bastion” anti-ship cruise missiles. In the near future, Venezuela is slated to receive a large batch of Russian weapons for its army. However, this particular market can be prone to throwing surprises at Russia due to a setback in the health of Hugo Chávez and a possible power change. Further decline in the US-Russia relations may also bring Russia closer to Iran, which is in a great need of modern military equipment. Still, this perspective may shift in case of a war in the region and ensuing defeat of Iran, which would virtually close off the Iranian market for a long time to come. Speaking of foreign exports, we shouldn’t rule out post-Soviet countries. The 2010-2011 periods saw a major increase in arms exports to the Commonwealth of Independent States (CIS). These figures are expected to grow further as Soviet weapons become obsolete. As an arms exporter, Russia remains the best choice of the ex-Soviet block, particularly among the member states of the Collective Security Treaty Organization (CSTO). In the case of Kazakhstan, Belarus and possibly Ukraine, Russian weapons manufacturers can expect to receive big orders for expensive military equipment like state-of-the-art jets. Kazakhstan is already importing Russian armed vehicles, such as tank support combat vehicles, and is interested in renewing its aircraft fleet. During the Centre-2011 military drills, the commandment of Kazakhstan’s Armed Forced said they were closely looking at test results of Russia’s new aircraft – MiG-35, Su-35 jets and the prototype T-50 fifth-generation fighter. 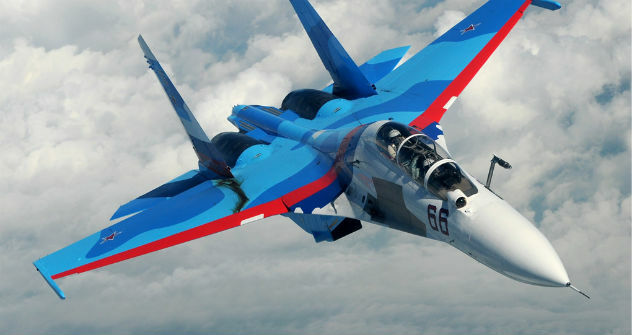 Ukraine may also consider purchasing Russian aircraft, since it doesn’t manufacture fighters on its own and urgently needs to replace its 1970-80 air fleet. All in all, the Russian arms exports hinge on the trends in the economies of these countries and any unpredicted political shifts that may turn around their cooperation with Russia.